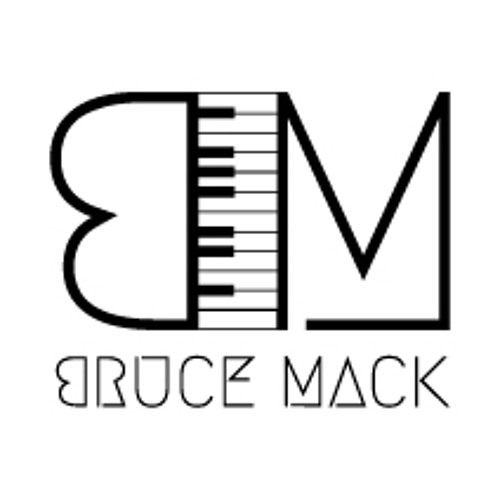 Native New Yorker, Bruce Mack aka B-Mack (the artist, the band) is a be-bop style vocalist that incorporates vocal improvisation into funk and other forms of music. B-Mack also plays several instruments, including keyboards, electric bass, percussion and drum set. Bruce Mack, a band leader, also performs and contributes original music to multiple ensembles, and is former president of the Black Rock Coalition. Since 1999, I've been a recording, touring and conducting member of Burnt Sugar the Arkestra Chamber, and played on 13 CDs recorded by the band, with a few songs pinned to my credit. As a result of that work, I've had the honor of being band leader/vocal arranger for the legendary actor/filmmaker/composer-Melvin Van Peebles’ wid/ Laxative band. I'm presently composing more for B-Mack as well as projects I am involved in (Nubian Messengers, Eigthy-pound Pug: Alex Lozupone Project, House Of Revolution, and upcoming project-Rules Of Aquah). Some of the talented artists who've graced the bands I've lead include:The late and great Keith Elam (aka Guru of Ganstarr), Brian Hardgroove, Mark White, Val-Inc, Marvin Sewell, David Fiuzynski, Kelvin Bell, Zhana Roiye, Michael 'Doc' Greene, Marque Gilmore, Amafujo, Mark Peterson, Anthony Peterson aka TruBorn, Emmett McDonald, Mike Griot, Jason DiMatteo, Bill McClellan, Billy Kilsen, Jorge Sylvester, Nick Rolfe, Damon Mendez, Reggie Powe, Pete Cummings, Ben Tyree, and Andrew Lamb. In 2015, my song "Karma Can Be Long" was a feature on the compilation "BuddhaBug Records Mix Tape Vol.1" produced by Luqman Brown. That same year, I was featured as percussionist in the alternative folk trio Johnny Mez & The Fatman, which can be heard on the CD “Inner City Hero”, a featured performer who co-wrote over 2/3rds of the songs for When The Flowers Bloom In Baltimore, an album by experimental-metal-band Eighty-Pound Pug (Alex Lozupone Project). In 2016, along with Alex Lozupone & Ayumi Ishito, I am featured on the album “As Serious As A Pug-Attack” also by Eighty-Pound Pug. May, 2018 marks the release of my lo-fi alternative album "Lo-Fi Exploits Of A Misplant On Shaolin”.